Radio advertising can help your business do more business! It's really quite simple - the more people you invite to do business with you, the more potential customers you'll attract. Click the logo above for more Radio Advertising Facts. At KMCR, we're in business to help you do more business! The KMCR Marketing Department specializes in helping local businesses grow through cost-effective targeted advertising. With the right audience, and enough frequency, your advertising dollars can provide a tangible return on investment. Our goal is to make your job easier by reaching enough of the right customers to positively impact your business. The secret formula for advertising success comes down to this: What you say times how many times you say it! 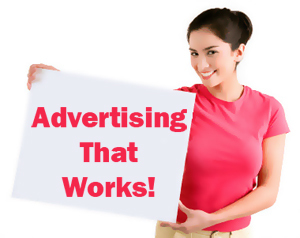 If you need to ward off increased competition or generate additional customers, then advertising is a necessity. Because you can't yell loud enough to let the entire area hear why they should do business with you, you need to select an advertising platform (radio, television, print, etc.). When you advertise, you are buying an audience. We provide unique audiences so your advertising dollars are not wasted reaching people who are unlikely to do business with you, while focusing on those that will! Research our Web site to answer your basic questions. Then, contact us so we can perform a custom marketing analysis for you. After answering a series of questions and telling us what you want to accomplish, we can inform you of appropriate promotions or provide you with a custom marketing plan and demo commercial. That depends on how much of an impact you want to make and how much competition you have. Though you can purchase an occasional special package for a hundred dollars or less, our most effective advertisers pick a station and invest $500 to $5,000 per month. Finding the budget you're comfortable with while providing a sufficient Return On Investment can be developed through a marketing analysis. 1) Not filling up one cup before moving to the next. Many business owners think they need to do a little of everything instead of doing one thing well. It's been said, “I throw my advertising dollars against the wall and hope some of it sticks.” Almost any business can get all the customers they need by simply attacking and owning a radio stations audience. 2) Quitting before the advertising can work. Advertising is like trying to get in shape. The beginning is the hardest part and the benefits truly begin when you think you've given your all. In order to get your desired body shape when working out, you must earn it by sticking to your plan. Successful advertising is no different. Be honest with your expectations and investment you're willing to make. Then call us to do an in-person marketing analysis interview. We can then provide you a custom marketing plan that matches your goals and targeted demographics. Unless you're having a special event, continuous advertising yields the greatest long-term benefits. Not everyone needs your products or services today, so advertising for a month is a crapshoot. Reminding a large group of consumers who are most likely to do business with you about your unique selling position over and over is most beneficial. When any of our listeners need your product, our goal is to have your business in their top-of-mind recall. Which station is best for me? Ask yourself, “What is the profile of the person most likely to do business with you?” Be specific. Now, match up that consumer by reviewing individual stations. Once you've discovered the right stations/audiences that are most likely to do business with you, contact us for a complete marketing analysis. We can produce your commercial, or we can suggest an outside production house. In-House Production is provided at no charge for all our advertisers. Our custom marketing plan advertisers receive agency quality production from our Creative Services Department, and our sales/event/occasional advertisers receive professional standard production. Our mission is to create top quality advertising that works for our client's custom marketing plan. How? By Listening to the client to find out what their true needs and goals are. Spending the time required to develop the right message to serve the client's needs. Crafting creative ads that will make an impression in the mind of the listener. Employing the highest quality voice talent and producers to turn words on paper into magic! Our company is very aware that better tools make a better product. The Best Broadcast Group uses only state-of-the-art digital production facilities. Is this overkill? We don't think so. We believe our clients deserve the best that we can give them, and it shows in our work. Ask yourself, “Why should someone do business with me?” Be specific. “What truly makes me a better choice than my competitors?” “What makes us special?” “What is our Unique Selling Position?” Take a look at your strengths versus your competitor's weaknesses that can result in taking business from them. Our goal is to grow your business by getting you your unfair share of the market's dollars from your competition. A completed marketing analysis can help us fine-tune your message to the right audience(s). How much is commercial production? As part of the Best Broadcast Group family of radio stations, both writing your ad and producing it are free. We provide standard voiceover production for all occasional advertisers and complete agency quality production via our Creative Services Department for all Custom Marketing Plan clients. After ensuring your business is in fine operating order, stick to a well-constructed advertising theme month after month. If you deliver your message consistently to the right people, your advertising will yield rewarding results. I'm a small business with a small budget – can I still advertise effectively? Yes! Contact us so we can suggest a plan of attack. Do you have sales or specials? You betcha! Your Best Broadcast Group Sales Representative will be happy to explain all the details. 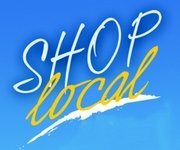 I'm a retailer, what's best for me? Do you live and die by sales events or do you want more consistency for your business? Sales event advertising can drive customers, but it's the “caffeine of marketing.” The more sales you have, the more advertising you need. However, if you want a steady, non-fickle customer base, we recommend the more consistent approach. I'm NOT a retailer, what's best for me? Consistency, consistency, consistency! Whether you're a doctor, lawyer or carpet cleaner, a well-developed commercial stating your unique selling position will keep you in the consumers mind when the day comes form them to need your services. We firmly believe the best approach is Long Term Consistency, with a minimum of 4 ads a day, forever. I'm having an event, how should I advertise? Heavy. We recommend fifteen to twenty commercials a day for a minimum of three days prior to an event or major sale. For Short Term Impact we recommend determining a budget and scheduling a minimum of 1 or 2 ads per hour from the time an event or sale starts scheduled backwards until you run out of money. We use it, but darn if it isn't expensive. Getting a good commercial that doesn't look cheap can run thousands of dollars, and buying prime time can cost hundreds of dollars for just thirty-seconds. Effective television advertising can get costly. We're not crazy about it and rarely use it ourselves. Some advertisers use newspaper because it's easy to write ad copy. But, circulation is down, ad prices are unreasonably high, and noting scores are less than impressive. Newspaper was great twenty years ago when we had time to sit and read it everyday. But we're too “on the go” now. Newspaper can't target your customers so there's too much wasted marketing dollars. Plus, you never know where your ad will be placed or whose ad you'll be next to. According to most marketing experts, the yellow pages are dead. Most people get phone numbers online or by calling directory assistance. If you're spending money in the yellow pages, it's like setting fire to your money. What about Internet banner advertising? For non-national advertisers, a web site is functional as a consumer research tool (just like this one). In fact, at KMCR and other Best Broadcast Group stations, we offer banner ads on our station websites. Call us for details. They're a great way to say, “Turn here,” or “next exit.” However, telling the story of your business's benefits in just a few words and a picture is difficult. If you can't afford at least eight “100 showings” a year, we don't recommend them. A high-profile billboard can add a splash if you have the budget and are already effectively TELLING your story on radio or television. What about other radio stations? We're big radio fans because of its target ability. If there's an audience that we can't provide you, let us know. 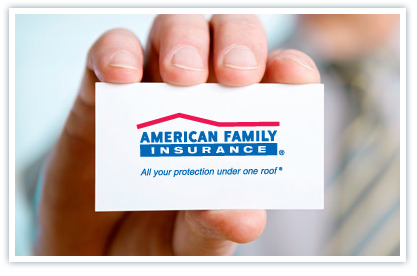 We'll provide any contact information you need. Should I hire an advertising agency? If your budget is sufficient to develop a complete multi-media approach with extensive creativity, there are some talented advertising agencies to choose from. However, for most local businesses, advertising agencies are typically too expensive. Should I have a jingle? If you intend on using electronic media (radio, cable, TV), a jingle can really tie it all together. If you're willing to invest in a music image campaign, we'll reward your commitment. Have one produced, become a custom marketing plan advertiser, and we'll rebate your investment in bonus radio ads. All major companies use positioning statements. It's a necessity. Wal-Mart's very effective positioning statement is "Always the lowest price, always". This statement lets you know exactly what this business is about! You can use your positioning statement in all your advertising (radio, print, TV). Just try to keep it 3 to 5 words and be sure it hits on your unique selling position. When you advertise image, you're establishing "mind share" as versed to market share, and avoiding the “I've got to have a sale” syndrome. Establishing your unique selling position(s) with clarity, creativity and consistency is at the heart of image advertising. Establishing in the consumers mind your unique selling position(s). It helps prospects understand why they should do business with you rather than your competitors. We all have needs that create buying cycles. As a business owner, you want the consumer to think of you when they need your goods or services. A specific listener may not need an attorney, dishwasher, new sidewalk, or retirement plan today. But, what about those who need these items next month… or next year? Create your business as a point-of-destination in the mind of the consumer. When they have forgotten about your competitor's ad minutes after they pass over it in print, you'll be there to TELL them your story, with consistency, day after day. That's how you create Top-of-Mind-Awareness and that's how to fight through a consumers buying cycle. What is reach and frequency? An advertising term that calculates how many people you'll touch with your commercial (reach) and how often they'll hear that message (frequency). Research shows if you can reach two-thirds of a radio stations audience 3.5 times each; your ad will break through and be heard. Contact us and we'll provide you the number of ads needed to achieve exceptional reach and frequency. How and who do I contact for more advertising information? This is the worksheet used to discover your needs and find out if we can help you achieve your marketing goals. Contact us and we'll have one of our Sales Representatives meet with you one-on-one for a free, no obligation marketing analysis. This is our marketing recap we provide after you've completed a marketing analysis. Custom Marketing Plans are free and provide our recommendations on how to best achieve advertising success based exclusively on your goals and needs. It's a group or cell of the population who listens to one or more of our stations. Our goal is to match your targeted demographic (target prospects/customers) to one or more of our matching stations. What are your payment terms/credit policies? We accept cash, check or credit cards (MasterCard ands Visa). We are also pleased to extend payment terms with approved credit. Signing off on your approval to run an advertising campaign is standard procedure, although there may be a few exceptions. It protects you with a low rate guarantee and provides written permission and consent for us to promote your business. I tried radio once and it didn't work, why would it work this time? Because we go through a regimented process including a marketing analysis, custom marketing plan and more. This process puts all the odds for success in your favor. Our Sales Representatives are trained not to be good salespeople, but intelligent marketers. Suggesting a campaign that does not work is as unacceptable to us as it is to you. It's advertising paid partially by you and partially by one of your vendors. For instance, you may carry a new widget from Acme Company. Acme would pay 50% or more of your advertising bill for sharing time in your ads. Contact your vendors and ask if you have co-op dollars available. We do. Ask and we'll be happy to share them! I don't have a large budget, what do you suggest? First, complete a custom marketing analysis or meet with one of our Sales Representatives. We can then suggest if the occasional special would be best for you, or if you can afford to invest in a small single station name awareness marketing plan. Morning drive is 6am to 10am, and afternoon drive is 3pm to 7pm. The other primary radio “day parts” are mid-day, 10am to 3pm and evenings, 7pm to midnight. Though drive-time rates are available, the most cost-effective rates are BTA (Best Time Available plan); where your commercial is heard equally in all four primary day parts, including drive times. It's not cost effective to “anchor” your commercials in drive time only. When our clients buy “BTA”, their commercials run equally in all day parts, including drive times. Attacking a night and weekend audience is a great way to stretch a small advertising budget. Think we're kidding? Think of the hundreds of possible customers you could easily influence who work night and weekend shifts at hospitals and plants in our area and the hundreds who are running errands on the weekends. For just a small percentage of the number of people listening on the weekend, drive through the parking lots of the area and imagine all those car radios turned on. Plus, there's less advertising in the evening and weekends, which means your commercial will be noticed even more than usual. What is a “Unique Selling Position”? These are the primary reasons why you are truly a better choice to the consumer than your competition. Why use a Best Broadcast Group Station? Because we're a different kind of radio company. Our Sales Representatives have been trained to help our clients develop their businesses through effective marketing campaigns. They're not here merely to sell you advertising because that's not what we are about. We're here to help YOU sell YOUR stuff! Click on the logo above for lots of informative facts on how to make Radio Advertising work for your business.